My husband, Keith, and I have traveled to many places in this astonishingly beautiful and diverse country/world we live in. I love to travel and am hard-pressed to say what I like best about it. But in all honesty, I have two very distinct parts of traveling I find enriching. The first is meeting people from around the world, celebrating our differences and embracing our sameness. The second is flying into DIA and seeing the western mountain ranges that announce we are indeed home. No matter where we travel, we consistently hear people describe our home state as “beautiful” when they learn we are from Colorado. Without exception, people tell us they have been here and found it breathtaking or they would like to visit because someone they know has described Colorado as one of the most beautiful places on earth. When using the adjective “beautiful” to describe this state, I think it safe to say most people refer to God’s architecture from the wheat fields on the eastern plains to high country mountain ranges and the deserts on the Western Slope. However, I have a different take on this descriptive term that goes deeper than what is evident to human senses. When I think of the beauty of Colorado, in addition to the landscape, I think of the western spirit that resides in the friendly, neighborly people here. This year in particular I was blessed to see, and feel, this spirit from friends and strangers alike. Several years ago, my husband and I chose not to participate in the frenzied shopping, gift-giving, cooking, partying and plan-making that have become traditional Christmas for many Americans. Instead we decided to intentionally walk through the season looking for opportunities to talk to, and even briefly share the lives of, strangers in our community of Lakewood/Golden. The blessings for us multiplied as we shared ourselves and encouraged others to share themselves with us this season. We were touched by stories of children and adults who are struggling with health issues, finances and divorce. We have felt cared for and held in tenderness by those who offered support through sincere inquiries into some of our personal family struggles. In all of this, we were reminded that although we each have different paths, joys, and difficulties, we are knitted together with the bond of frail humanity and that bond is strengthened by sincere concern for each other. I do not exaggerate when I say I feel this warmth and comradery stronger in my Colorado homeland than anywhere I have ever been. It is part of the spirit of our western heritage. 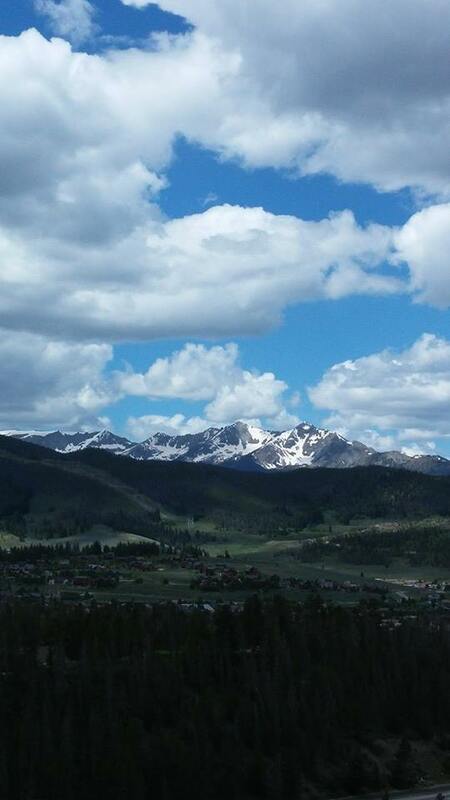 It is what makes Colorado beautiful – inside and out. We live in a time of violence, fear and division in our world right now. On a community level we certainly can, and do, make attempts to reach out and negotiate political, racial, religious and economic differences. But none of that happens unless we reach into ourselves to find, and share, a home-grown light of genuine concern for our neighbors and communities. It is my belief that no matter how long you have lived here, feeling “Colorado-grown” becomes part of your personal make-up, if you let it. As 2014 winds down, I find myself grateful for more things than I can mention here. But I am especially thankful for where I come from and what I have learned by living in this glorious state. It is my sincere hope that personally and on community as well as state-wide levels, we will all strive to keep Colorado beautiful.